BRYAN EATON/Staff Photo. 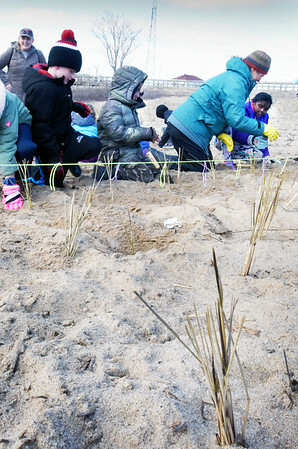 Burlington second-graders help to plant dune grass on Plum Island Point near the Sawyer Playground on Wednesday morning. Partners in the planting project included New England Wetland Plants, the city of Newburyport and Mass. Dept. of Conservation and Recreation.